I could have completely cut my ties with him. He used to be a dear friend, but the malicious public made us rift apart. I hated him for being too inexpressive while playing along with the teasings of the multitudes. He himself thought I was playing along. But I was already too offended. In my resentment, I expressed myself through a text message that he was a fool, a promise-breaker, and a liar. He was surprised and saddened, asking me to forgive him. So, I braved myself to ask him to meet me at the canteen the following day, or I’ll leave in five minutes. He did show up immediately. For the first time we had a very serious talk. It was so different from the other conversations we had, which were not that deep and serious. 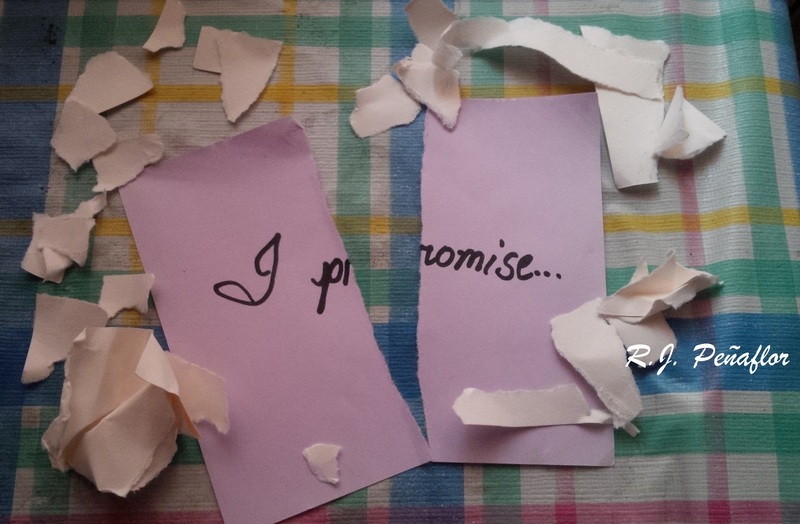 He explained his side to me, telling me that everything he promised are true and was hopeful they will happen. But due to circumstances in our jobs, he was trying to juggle with everything he considers, his family and his friends including me. Yes, for the first time I heard it straight from his lips. And looking at his eyes he was sincere. He told me much more that I did not know, the deep side of him that I did not understand. I was too proud to ignore him, without really hearing him. Should I have not initiated to talk to him, our friendship would have been ruined and bitterness would have swallowed me up. It is true that when you love, you must learn how to bravely confront and listen with love and humility. In the end, I understand how precious this person is as I have been precious to him too. I guess this is how the Lord loves him too, for He is faithful to begin answers to my prayers and how He heard me to continually fight for him. All in all, I learned that love takes one to communicate deeply and love is not to be kept in frustration as it can be released through forgiveness.